We’ve all heard it said that red wine is good for us, and that a ‘glass a day keeps the doctor away’, but the more cynical among us may also have been a little bit dubious of this claim. While it might sound very nice, and certainly be something we want to believe, we also know that alcohol isn’t particularly good for us and particularly for our livers, and as such we might suspect that all of this could be a little bit too good to be true. However as you’re here, it seems that you aren’t ready to dismiss the idea just yet, and good on you – for actually there are some very positive health benefits that you can get from drinking wine – as long as you drink it in moderation. Here we will look at the benefits of red wine and how to make the most of it without the negatives. The main thing that makes red wine so good for us is a single ingredient called resveratrol. Resveratrol is an antioxidant which means that it is able to neutralise the ‘free radicals’ that we get in our system. Free radicals are substances that float loose in our body and which attack our cells on impact. When free radicals come into contact with our cell walls this causes damage to the wall, and over time this can even be enough to cause the visible signs of ageing such as wrinkles. Ultimately, if our cells receive enough oxidative damage, the destruction will eventually penetrate all the way into the centre of the cell – the nucleus – and will damage our DNA leading to mutations that can cause cancer. Resveratrol as an antioxidant cleans up these free radicals as they float through our bodies and this then means a reduced chance of cancer, and also potentially fewer visible signs of ageing. However that’s not all that resveratrol does, and if it was then red wine wouldn’t be worth writing home about – an awful lot of foods and drinks contain some kind of antioxidants and while they’re very good for us, they often aren’t enough to be highly noticeable. The other function of resveratrol then is a little different and more interesting from the norm. This substance you see also has the ability to increase the function of our mitochondria, which are the shells around our cell walls that act as our cells’ little ‘power plants’ converting glucose into the ATP that we need to be able to power all of our bodily functions. Because the mitochondria surround the cells then, strengthening these can give us a better defence against free radicals and other types of damage to the cell walls. This is why resveratrol has been linked to a significantly reduced risk of cancer, and why it has been credited to the answer to the ‘French paradox’ (the fact that the French have diets so high in fat and yet have very low incident of heart attack). At the same time, because the mitochondria are used to give us useable energy, resveratrol might also be able to help us to produce more energy and enhance physical performance. The use of resveratrol as a performance enhancer is being looked into, but obviously in a slightly different form to red wine. 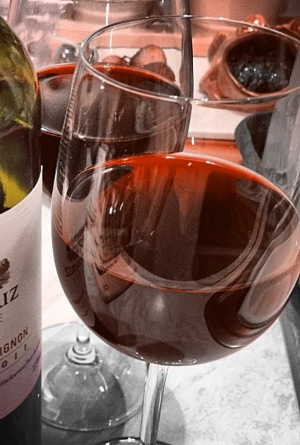 Resveratrol isn’t the only good thing in red wine. It also contains melatonin, which in theory could help us to get better sleep at night – though it’s worth noting that alcohol leads to disturbed sleep. Meanwhile substances such as saponins, have been shown to lower bad LDL cholesterol, as has resveratrol. Alcohol itself may also not be quite the villain we presume it to be, as while it has a lot of negative effects on the body, in moderation its muscle relaxant properties may also actually be quite good for us as they help us to relax and combat stress. A glass of wine a day can help us to relax after a hard day at work – and relaxation is very healthy. What’s important to remember though is that there are also many downsides to red wine. It’s very high in calories for instance so can help you to lose your physique in no time at all, and at the same time it will still cause damage to the liver and to the brain cells and is still addictive and damaging to our sense of judgement. So don’t go crazy and think this is a green light to drink as much red wine as you like. The point is that it’s not as bad as you might think, and under the right circumstances and in the right quantities it may be fairly good for you. That said the amount of resveratrol in red wine is very slim, and you can get a lot of the same benefits from red grapes. Very informative on all the beneficial ingredients found in red wine.